Dark garnet color. Sweet aromas of fruit punch, sweet tea, and sweetened dried cranberries with a round, crisp, fruity sweet light-to-medium body and a seamless, breezy chocolate covered strawberries and bananas, fruit roll up, banana smoothie, and chocolate croissant finish with coating tannins and a suggestion of oak flavor. A fascinatingly fruity and juicy Pinot Noir for wine skeptics. 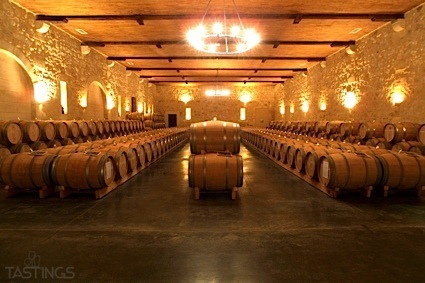 Bottom Line: A fascinatingly fruity and juicy Pinot Noir for wine skeptics. 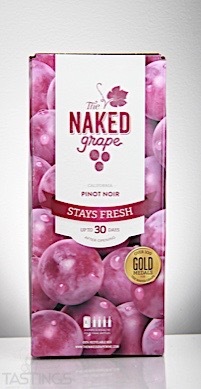 The Naked Grape NV Pinot Noir, California rating was calculated by tastings.com to be 85 points out of 100 on 9/13/2017. Please note that MSRP may have changed since the date of our review.